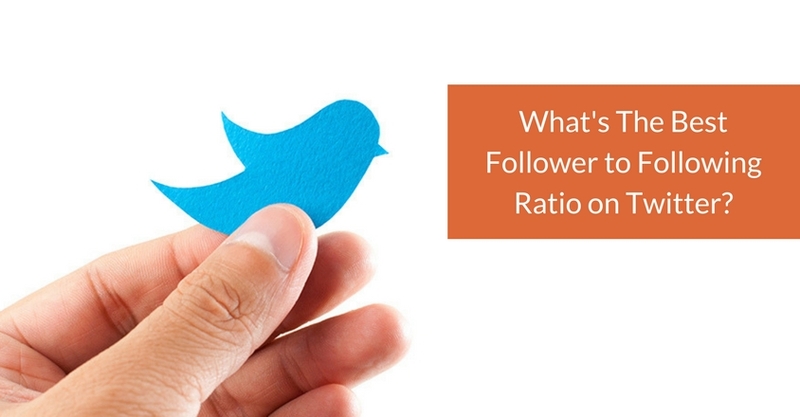 What's the Best Follower to Following Ratio on Twitter? The answer is: It depends! When you first join Twitter and get started, you will mostly likely be following more people tand have fewer followers. When you're just getting rolling, don't worry too much about your followers. Find people to follow who truly interest you. Keep in mind that when you follow someone who follows very few people but has many followers, it is not likely that you'll get followed back. That's fine. Choose important people to follow, but also choose those with a better balance of following-followers and it's likely that some will reciprocate and follow you.